Located on 14141 Riverport Drive, Maryland Heights, Verizon Wireless Amphitheater is one of the biggest outdoor event venues of Missouri. The amphitheatre is known to bring world-class musical talent and top-of-the-line bands to the city of St. Louis. It attracts huge crowd during its live events that are supposed to be increased in the upcoming season as many more topmost acts are expected to perform here in the near future. First opened in 1991, the Verizon Wireless Amphitheater soon registered its name among the country's premier live venues for concerts and live shows. Though it has changed three names in the past two decades, the charm and appeal remained the same. Indeed, the venue is growing more dynamic and more facilitated with every passing day. The Verizon Wireless Amphitheater was built with $12 million approximately. It was named Riverport Amphitheatre and opened with a Steve Winwood concert on June 14, 1991. The new facility was welcomed by the residents of St. Louis and it instantly became the hub of live music in the region. Barely after a month of its opening the Riverport Amphitheatre became the site of notorious Riverport Riot that happened during a Guns N' Roses concert played here on July 2, 1991. While the riot resulted to ban the Guns N' Roses performances all over Saint Louis, it did not put any hold on the buzzing life of Riverport Amphitheatre as many hot bands graced its stage in years that followed. After eleven years of gates-shattering concert presentations, Riverport Amphitheatre got a new name when Missouri based UMB Bank acquired its naming rights for five years in 2002. Then in November 2006, New Jersey based voice and data network Verizon Wireless acquired the naming rights of this outdoor venue, making it the Verizon Wireless Amphitheater MO. The change of name made it the ninth live performance venue to have the Verizon Wireless name. There are venues with same names in Houston, San Antonio, Charlotte, Indianapolis, North Carolina, Virginia, Los Angeles and other places of United States. Today the Verizon Wireless Amphitheater represents the spirited side of Missouri. The venue can host up to 20,000 concertgoers or more depending on the nature of event. The venue is well-equipped with all the modern amenities including state-of-the-art sound and lighting system. The huge video screens are also installed to give full-on concert experience. During the concert, you can enjoy snacks and souvenirs from on-site vendors or simply enjoy the nearby attractions once the show is over. Verizon Wireless Amphitheater St. Louis provides the best live musical experience thanks to the great bands and performers it play host to. The wonderful performance history of Verizon includes the likes of Dave Matthews Band, The Backstreet Boys, Tim McGraw, Lenny Kravitz, Destiny's Child, Toby Keith, M?tley Crue, KISS, James Taylor, Kelly Clarkson, Def Leppard, Aerosmith, Rod Stewart, 311 and concerts like Ozzfest, Wrapped Tour and many other exciting shows. Now that"s what we call ENTERTAINMENT AT ITS BEST. If you are aspiring to attend a concert at the Verizon Wireless Amphitheater MO, we advise you to get the tickets well in advance as tickets for this venue mostly sell very fast. So make sure you book your Verizon Wireless Amphitheater MO tickets at right time in order to avoid any last minute rush. The average Verizon Wireless Amphitheater - Mo Tickets price will cost you between $131 and $278, if you are looking for the cheapest seats then catch the event being held at the Hollywood Casino Amphitheatre - MO, Maryland Heights on 13/07/2019. The average ticket will cost you the highest on 12/07/2019 at the Hollywood Casino Amphitheatre - MO, Maryland Heights. Minimum get in price is for Verizon Wireless Amphitheater - Mo Tickets is $14 for the event being held at the Hollywood Casino Amphitheatre - MO, Maryland Heights on 13/07/2019 , there are some venues that have a much higher get in price, for instance the cheapest seats at the Hollywood Casino Amphitheatre - MO, Maryland Heights on 26/04/2019 will set you back $41. Where can we find eleven verizon wireless tickets? 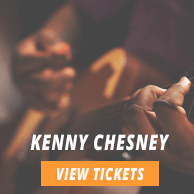 Browse ticketluck to find discounted tickets to find Verizon Wireless Amphitheater. If you have not bought your tickets as yet, make sure to buy from us before we run out of good deals. Do you have cheap tickets for mayhem verizon wireless st louis? We have a huge variety of Verizon Wireless Amphitheater tickets available at cheap price, go get them now! 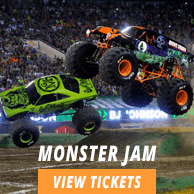 How can I sell verizon amphitheater tickets on your site? You cannot sell your Verizon Wireless Amphitheater MO tickets to us unless you are a registered broker. Are mayhem tickets missouri available? Verizon Wireless Amphitheater Mo Tickets are available on our site Ticket Luck. You can get them now. Do you have verizon wireless amphitheater tickets? We have got plenty tickets for Verizon Wireless Amphitheater tickets MO. Check out our inventory! Are the verizon wireless amphitheater st louis kings of leon sold out already? I needed some? Check out our Verizon Wireless Amphitheater page to get the tickets of your choice right way! Where can i buy my brooks and dunn verizon wireless mo tickets from? Buy your Verizon Wireless Amphitheater Mo tickets from us. What are the events lined up for verizon cnter this year and do you have verizon wireless tickets? Kindly see our Verizon Wireless section for details.